from by Celebrity News and Gossip, Celebrity Fashion Guide, Celebrity Beauty tips, Celebrity Hairstyles 2013, Celebrity Style 2013 and more! Hawaii Five-0 will be without its leading man for the foreseeable future. A rep for Alex O’Loughlin confirms that the actor will take an absence from the hit CBS drama “to receive supervised treatment for prescription pain medication due to a recent shoulder injury.” It’s unknown for how long the star will be gone. The series has shot 19 episodes so far and plans to complete its season two order, with or without O’Loughlin. It’s too early to know how it might write out his character, Detective Steve McGarrett, if it comes to that. Katniss Is NOT Messing Around! New Scene Released From Hunger Games! This was one of our FAVORITE scenes from the book, and now, we get a sneak peek of how it will look in the movie! Ch-ch-check out a brand new scene from the upcoming Hunger Games film adaptation, featuring just how talented Jennifer Lawrence‘s Katniss is with a bow and arrow (above)! Even if we you don’t know just how badass this character is, we think this is a pretty good indicator that she is NOT to effed with! We are so, so excited for this movie! All Of The Highlights From Whitney Houston’s Funeral HERE. Such an incredibly difficult, solemn day for so many. Whitney Houston was laid to rest today in Newark, N.J., after passing away at 48 a week ago, and during her almost-four hour funeral service, held at the New Hope Baptist Church, she was honored and remembered by a number of celebrities, including Tyler Perry, BeBe Winans, Dionne Warwick, Kevin Costner, Alicia Keys, Clive Davis, R. Kelly, and Stevie Wonder. Check out some of the highlights from the truly heartbreaking and powerful service…AFTER THE JUMP. 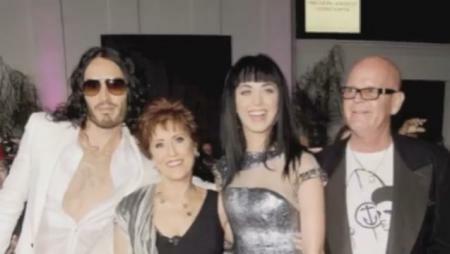 Katy Perry’s Parents on Divorce: A Gift From God! Katy Perry’s parents are conservative Christian ministers, so you would assume they would be devastated by her divorce. If so, they’re definitely not showing it. It’s been reported that Russell Brand filed for divorce in large part so Katy, who was raised in a devout Christian household, wouldn’t have to do so. God works in mysterious ways, though, and in the eyes of Katy’s parents, her recent split from Russell is one of those ways. Say what now? Because He used to the divorce to fill the rafters of their church, they say. Pastors Keith and Mary Hudson preached at Church On The Rise in Westlake, Ohio, on Wednesday, in an appearance advertised by the church. It is a solid glass-half-full attitude if nothing else. They do actually sound pretty cool. SIDE NOTE / FUN FACT: Katheryn Elizbaeth Hudson uses her mom’s maiden name, Perry, because she felt Katy Hudson would be confused with Kate Hudson. Mariah Carey has good news regarding her ailing husband. Just a couple days after saying that Nick Cannon was in “a lot of pain” due what has been described as mild kidney failure, the singer updated fans today via another Tweet. 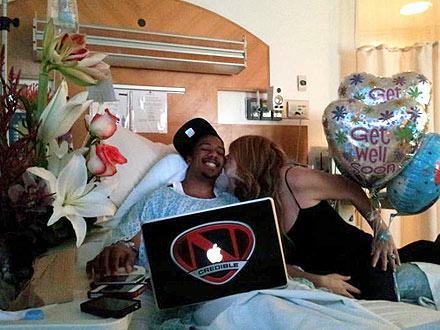 With a laptop, balloons and gorgeous wife by his side, things could be a lot worse for Nick Cannon. 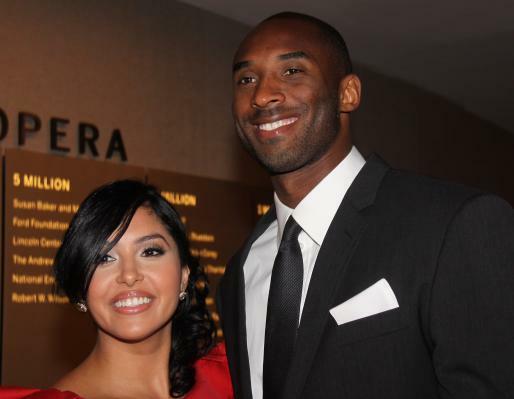 Vanessa Bryant is positioned to make out like a bandit in her divorce from Kobe Bryant, in large part due to the couple’s apparent lack of a prenuptial agreement. Coupled with 10 years of marriage, her settlement should be upwards of $ 75 million – half the L.A. Lakers guard’s fortune – along with support for their daughters. Vanessa Bryant’s mom told the Los Angeles Times that the couple did not sign a prenuptial agreement when they wed – entitling Vanessa to half of their assets. Estimates put Kobe Bryant’s net worth at $ 150 million. The NBA’s highest-paid player, he earned $ 24.8 million last season, part of an extension worth $ 83.5 million. Forbes magazine estimates that with endorsement deals, Kobe last year earned $ 53 million before taxes and agent fees. So basically, Vanessa is sitting pretty. The fact the marriage lasted 10 years also gives Vanessa big advantages under California law, as she is allowed to maintain her standard of living after the split. In the petition filed Friday, Vanessa cited “irreconcilable differences” as the reason for the divorce. The couple says the terms have already been settled privately. The NBA star was caught cheating with multiple women by his wife, according to sources, with good old-fashioned gossip among basketball spouses to blame. His latest mistress is rumored to be Jessica Burciaga, but that has not been confirmed. The lesson in all of this? Get a prenup and/or don’t cheat on your wife all the time. Jennifer Lopez is reportedly selling all of the gifts (yes, that includes jewelry) that she received from soon-to-be-ex husband Marc Anthony during their seven-year marriage. With the exception of her twins’ bedrooms, Jenny has been purging Marc’s presence from her block since their split. 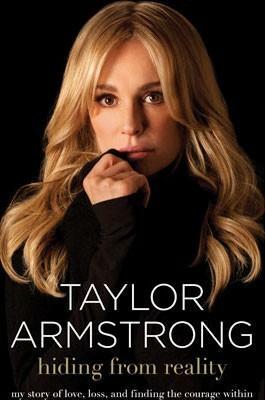 The singer/actress is tossing photos, clothing, and any other presents her former hubby threw her way during their relationship. But Lopez is nothing if not a businesswoman, so she’s not letting go of her abundant baubles sans profit. This is apparently how JLo rolls during a break-up. “When Jennifer moves on, she totally moves on,” a friendly source told a Chicago newspaper. “It was true when she split with Ben Affleck,” who got down on one knee back in 2004 with a $ 1.2 million Harry Winston that JLo later sold back to the jeweler. A word to the wise, Casper Smart: don’t gift your new girlfriend any diamonds. That’s one investment you’ll never see a return on.